Hello my honey bunnies! I'm back with a new review and this time round it's about a skincare product. I've never blogged about my beauty regime before because I used to be super duper lazy that I don't use anything on my face at all, not even facial cleanser LOL OKAY I KNOW VERY DISGUSTING OKAY NO NEED TO REMIND ME. 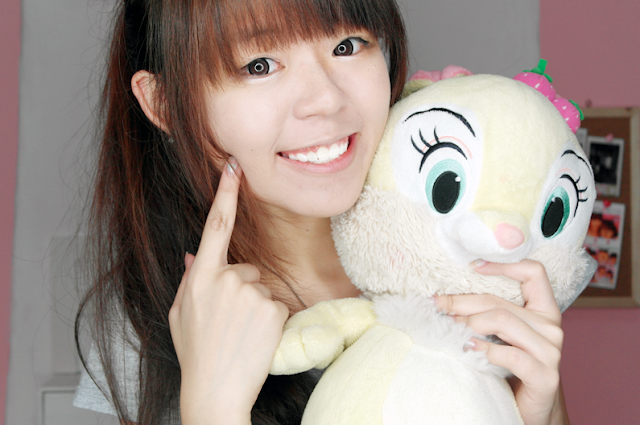 And during that period of time my skin condition was like really really bad lah. My left cheek is totally filled with acne and pimples eeeeks. I tried out lots of facial wash/toners/whatever beauty that products I see at the Watsons shelf but none of them help sigh. Yes the secret is in this super pretty package delivered to me!! 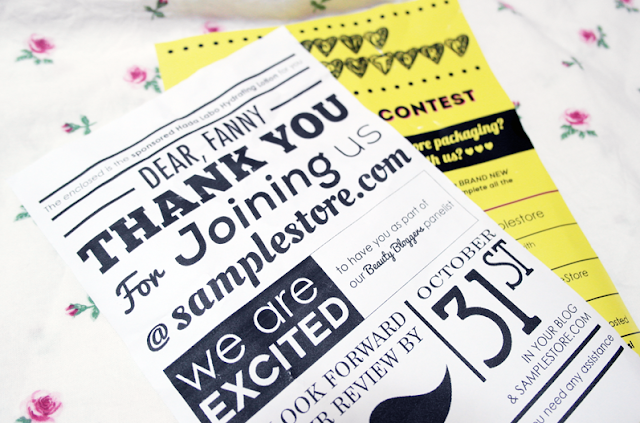 Thank you www.samplestore.com for sponsoring me the item! OKAY SO WHAT'S THE ITEM? 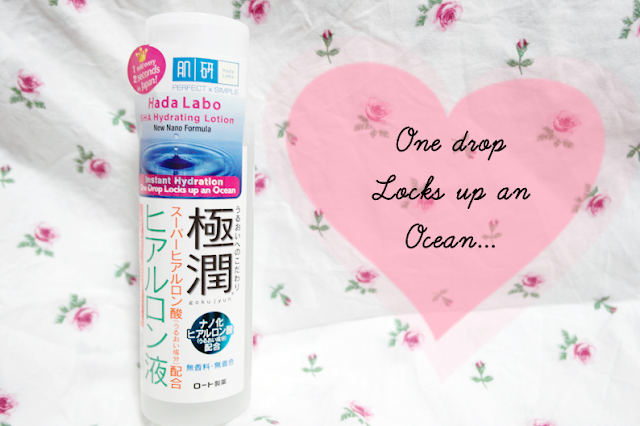 Introducing the Hada Labo Hydrating Lotion! From the name itself of course it helps to hydrate your skin lah hahaha. 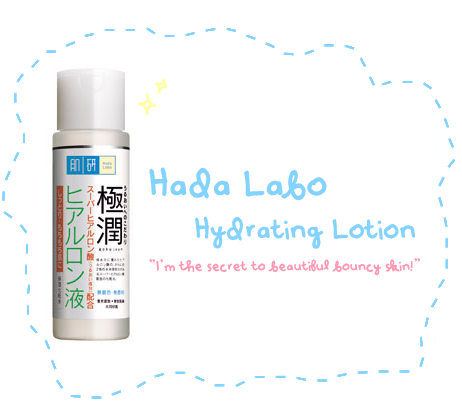 The Hada Labo Hydrating lotion act as a moisturizer/toner and it's super duper light on the skin! And the amazing thing is that you only need 2 to 3 drops of the lotion and it makes your skin hydrated INSTANTLY. Q: CAN I USE THIS IF I HAVE OILY SKIN? Yes of course, it's a really light moisturizer! If your skin is really oily, sometimes it's due to the lack of moisture in your skin. And when there's a lack of moisture, your skin will produce more oil to keep your skin "hydrated", which is not a good thing AT ALL as you will be more prone to pimple outbreaks etc! 1 sold every 2 seconds in Japan ok!! You know Japan is super duper amazing with their beauty products right, so if it's hot selling in Japan it must be super duper good ! 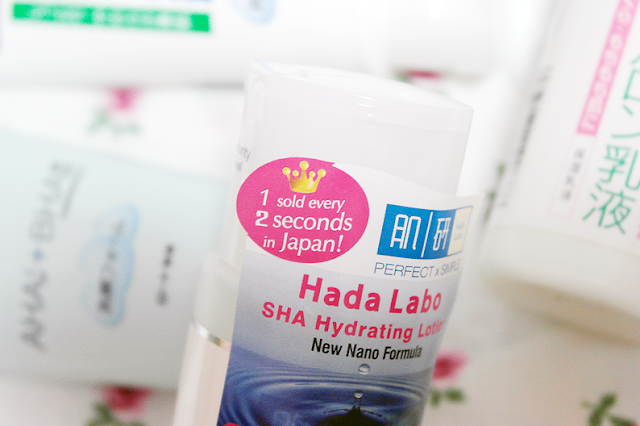 I've been using Hada Labo products for about a year and a half now and my skin has definitely showed improvement! 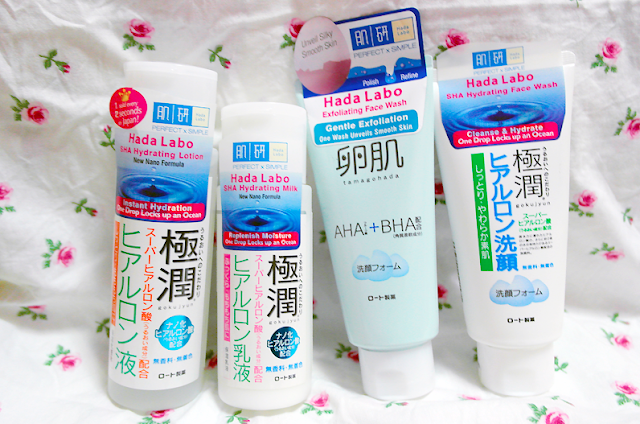 I'm a big fan of Hada Labo ok! The lotion doesn't have any smell so no worries of smelling like some fruits/flowers that you don't like. Which also means that no additives/fragrant are added to the lotion! 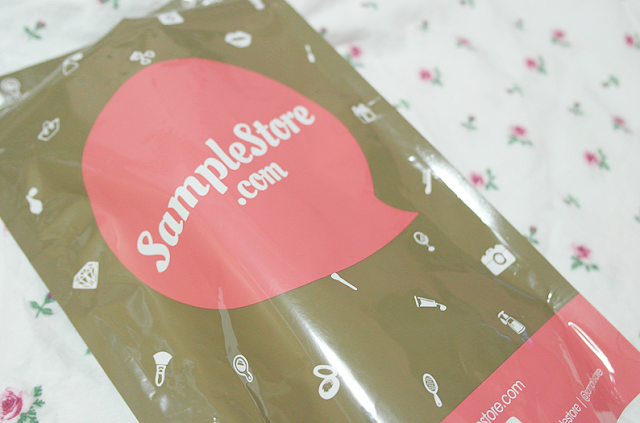 Most importantly, it's super affordable at only $22.90 and you can easily get it from Watsons !! No more dry and disgusting skin yayyyyyy. Not sure if this product is suitable for your skin?